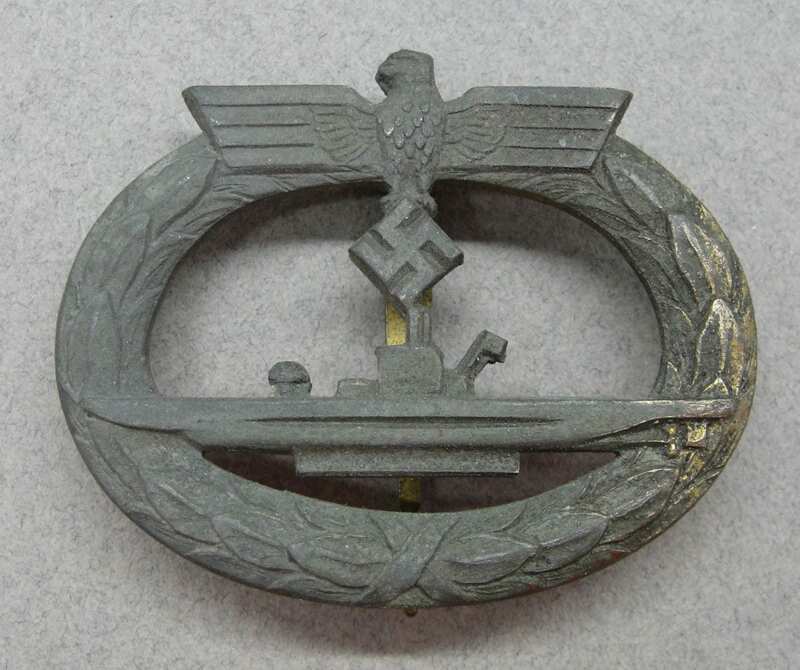 Kriegsmarine U-Boat Badge, French Made by Baqueville. 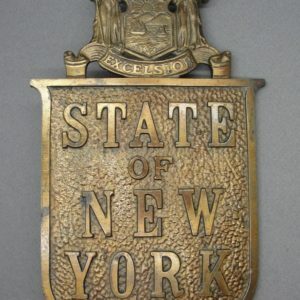 This piece is in excellent condition for its age showing some age toning with the usual wear to the gold wash finish. 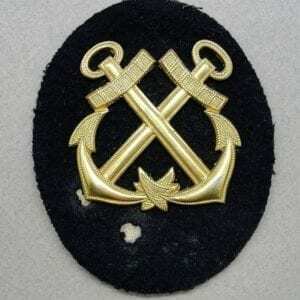 The French firm of Baqueville created a number of Naval Badges for the Kriegsmarine which had bases in Occupied France. 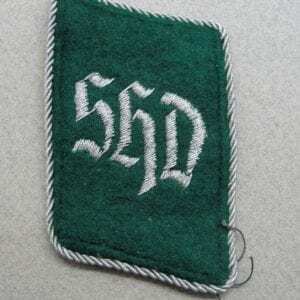 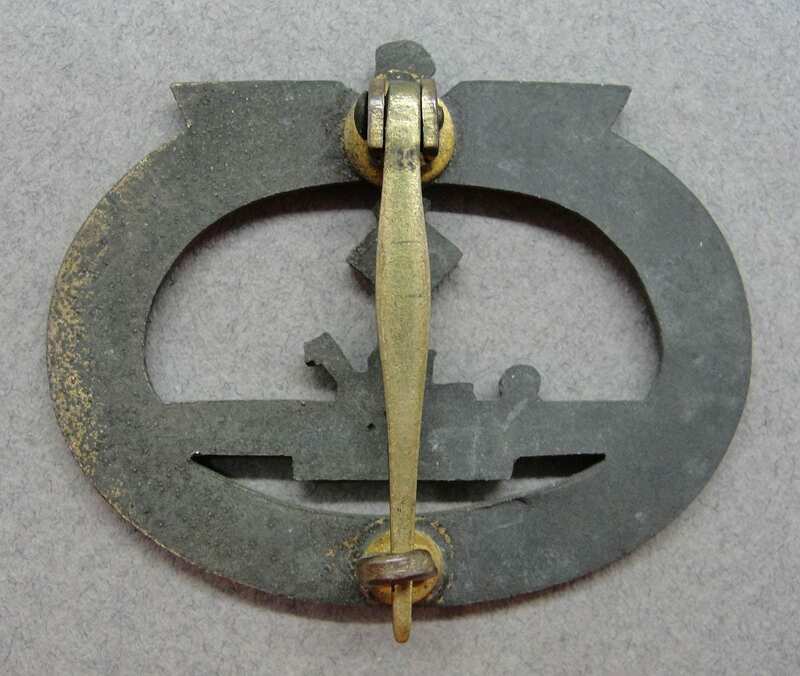 All French made German Navy badges utilized the same hinge, catch and pin assemblies. 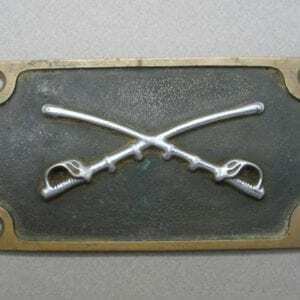 These badges are all die forged and all are zinc based with this example having crisp details and a good look.